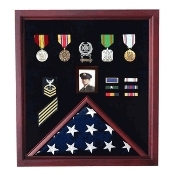 Defiant Army Flag Cases will keep your Army Medals, Army Flags, and Army Award Certificates in the best possible condition, and if you want to display your Army Flag, buy Army Flag Cases and Army Award Display Cases from Flags Connections. Stop using inferior products that are made overseas, and buy quality Army Retirement Gifts that are proudly made in the United States. 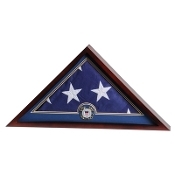 Defiant Flag Cases will keep your veterans prized possession safe from harm. Army Flag and Medal Display Cases and Army Retirement Gifts from Flags Connections are made out of the best quality products that money can buy. 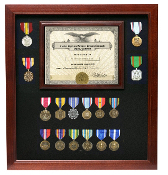 Choose from over 500 Army Flag Display Cases, Army Certificate and Medal Display Cases, Army Award Display Cases, Army Veteran Gifts, and Army Veteran Medal Frames. What war veteran wouldn’t like to display his or her Army medals and certificates in an Army Certificate and Medal Display Case? With so many designs to choose from, the hardest decision that you will have to make is picking just one. You can even have your Army Flag Display Case, or Army Flag Holder personalized with custom engraving and laser engraving on the glass, or on a medal. The high quality Army Flag and Medal Display Cases are stunning. 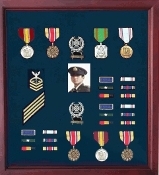 Show off your medals, or buy the Army Flag and Medal Display Cases from Flags Connections. 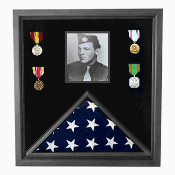 These high quality Flag and Medal Display Cases are the ultimate tribute. 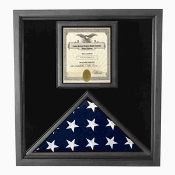 Commemorate your friend or family member’s service by honoring them with the Army Flag Case that features the Great Seal of the United States, embossed on real beveled glass. Most companies use acrylic or plastic to protect Army flags and medals, but not Flags Connections. 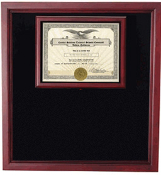 You also have the option of selecting a service specific brass medallion, or an etched specialty colored medallion. The Presidential Flag Case also features a solid wood finished back panel, a hinged lid, and a concealed magnetic closure to keep the dust off of the flag. Order Defiant Army Flag Cases and Army Certificate and Medal Display Cases and Army Flag Holders from Flags Connections. Every item that you order is proudly made in the United States and is the best way to honor your friends, and family members who have served, or are still serving in the Army. 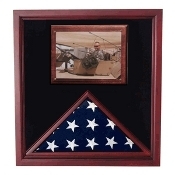 Buy an Army Flag Display Case for Army members who are about to be deployed. Order an Army Retirement Gift for your favorite Uncle or Grandfather. 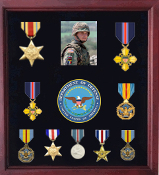 They will be proud to display their prized medals, certificates, and photo’s in Army Flag and Medal Display Cases in their home or office. There is no better way to show how much you appreciate our Army service members than with a gift from Flags Connections. 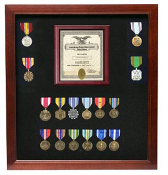 Order today and don’t forget to have every Army Flag and Medal Display Case, Army Flag Case and Army Veteran Medal Frame personalized with custom engraving. You will never be disappointed when you order from Flags Connections. 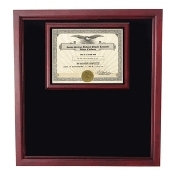 Your number one Army Flag and Medal Certificate Display Case superstore on the web.